I have a confession to make. I jumped the gun. About a month ago, I became so overwhelmed, (or should I say that I allowed myself to become so overwhelmed), that I almost gave up. 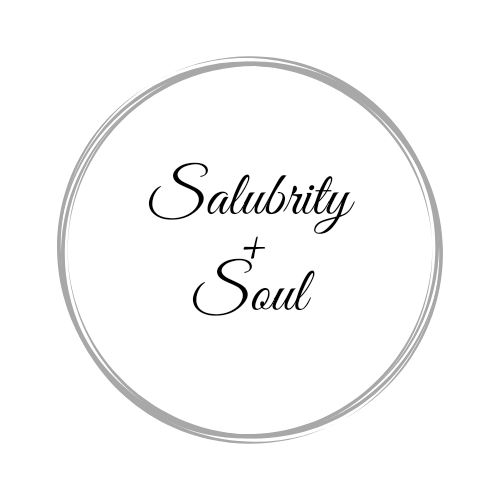 I almost gave up on Salubrity and Soul. Yes, that would have been a terrible thing to do! Especially since (as anyone who has followed my story knows), I waited so long to start it. But, what’s even worse than that is I kept feeling that I would be letting not only myself down, but my son down as well. So instead of giving up, I decided to just take a nice long break and get back to everything once I feel better prepared to add blogging; and all of the added social connecting that comes with it. I wrote about “unplugging” once before in my blog post 10 Things A Digital Detox Can Do For You”, but for some reason this time I needed more than a little digital detox. I was burned out and needed something a little more serious. What I needed was a sabbatical – a blogger’s sabbatical. Which is not a real term to my knowledge, but I think it has a nice little ring to it – don’t you? I cannot deny that the holidays, memorial event planning, awareness projects, work, overcoming the surprises acknowledged after finally gaining closure after losing my son over a year ago and an unexpected health concern all took a huge toll on me. The writing was on the wall and all I had to do was make a decision. Was I going to try to control and conceal it? Or was I going to take my well-being into my own hands and handle it in a healthy way? The healthy route, obviously, attracted me more. I knew that there was really only one thing to do, which was to bring everything that I was doing to a grinding halt, and just immerse myself in a sea of self-care. What’s more healthy and wellness minded than that? To notice the signs of burnout and potential additional bereavement issues and then heed to them. To care for yourself when you need to. There is no shame felt here. Just gratitude and grace. There is no guilt here either. Just a sizable amount of self-love and a sense of contentment. Knowing that in all of my struggles suffering and vulnerability, I still have the faith and courage to keep moving forward – even if that also means that I have to slow down a little bit as well. On the humorous side, one great thing about this “sabbatical” is that I didn’t have to obtain permission to take it. My only requirement was to seek inspiration, offer myself patience with regard to writing, and to rest and take really good care of myself. Which I did by doing a lot of meditating, a lot of healing baths, nature walking, journaling and changing some of my eating habits. While the payoff for taking this “sabbatical” is that I have been able to apply greater focus on enhancing my skills and creativity, assess my needs for engagement and productivity; but in a much less frantic manner. That is a complete win-win in my eyes. Taking a break isn’t a weakness. Neither is taking as many breaks as you need – especially when you are in the process of healing. It may be the only thing standing between your failure and your success; and at least a break will energize you a little better than any attempt to just continue pushing on through. Take Care + Be Well. Some days won’t be as good as others, but there will always be something good in each day. The key is to keep looking up!